Sunbathe on pristine white beaches, stroll through unspoilt villages, explore perfectly preserved historic ruins...what are you waiting for? 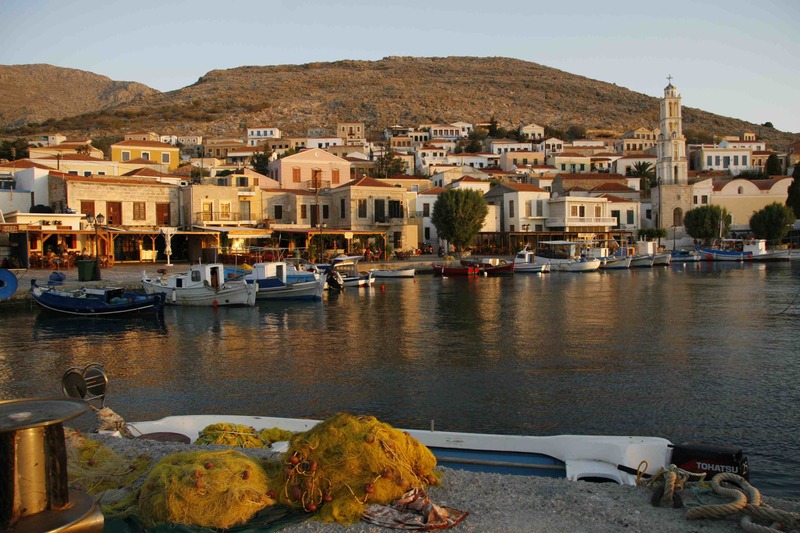 Come join us on one of our Greek Island Tours and immerse yourself in the relaxing Aegean culture, visit countless tavernas and taste the secret flavor of the Greek Islands! 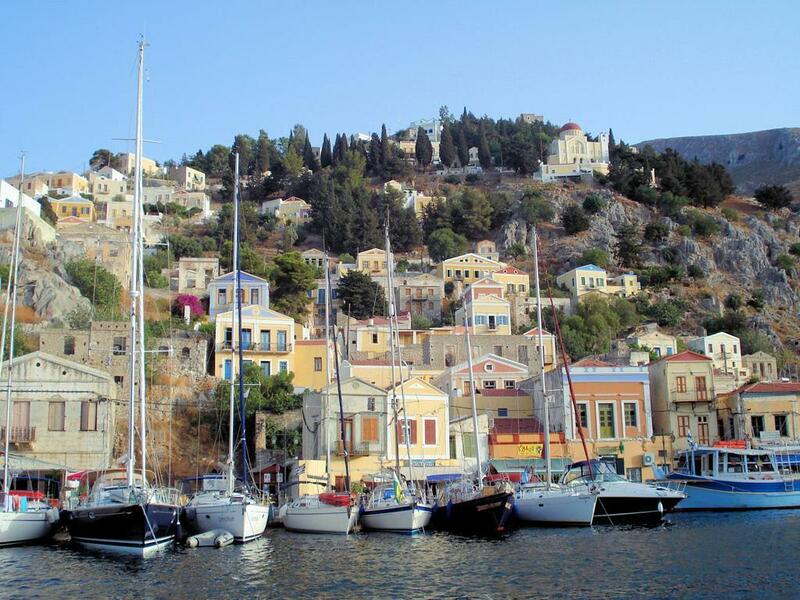 Since our sailing school is based in the South Aegean, it only takes a few short hours of sailing and you can start enjoying the joys of the Greek Islands right away. 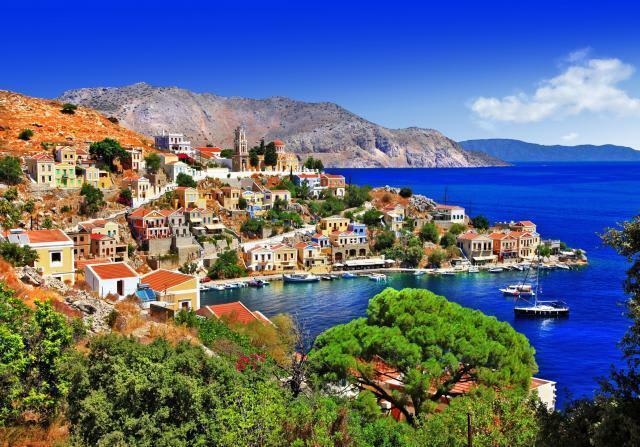 We offer both one and two week tours; a one week tour visits three Greek Islands, and if you opt for a two week tour, you can cover seven Greek Islands. The only major requirement is that non-European citizens need a Schengen Visa. 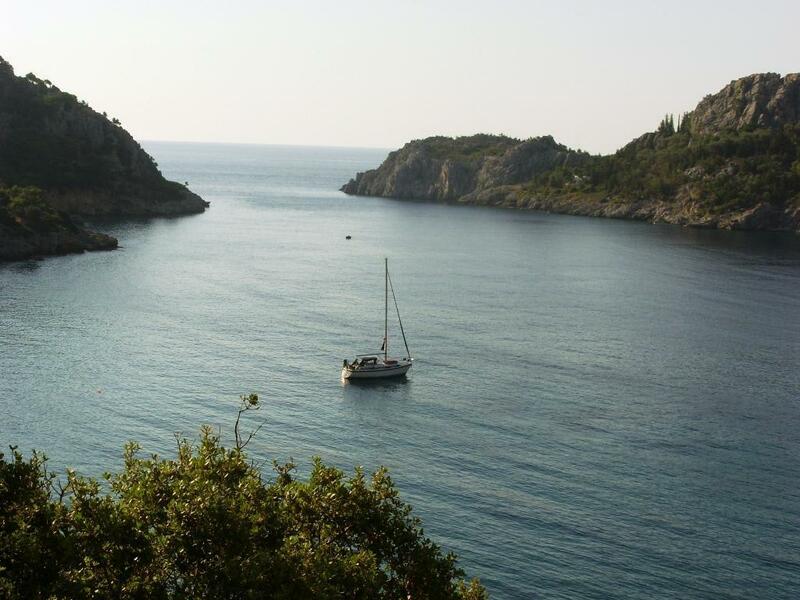 Anchor and relax aboard our IYT-certified training yachts in secluded coves, all the while learning the art of sailing and forging an unforgettable vacation experrience. Once you successfully complete the training course, you will be awarded with an IYT certificate that will allow you to charter a yacht anywhere in the world. You can view the various IYT certificates we offer on our IYT License page. Saturday: Arrival to the boat on Saturday afternoon. 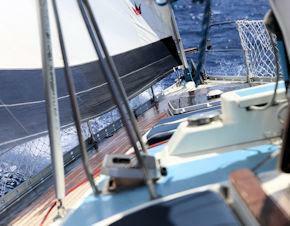 Our agent will take yacht documents and passports for processing. After our first briefing, we dine in a local restuarant. On Sunday morning, We goto shopping for grocery all togather after breakfast. 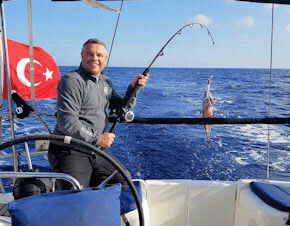 When documents are read, We go and moor to customs pier for exit procedures from Turkey. 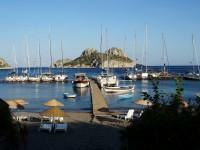 After we got our passports stamped, We set sail for Rhodes as our first stop. ÇİFTLİK : Sunday: After breakfast, we conduct a group shopping. 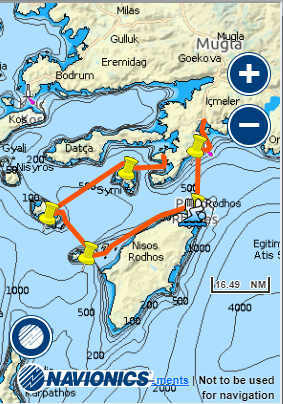 As soon as our documents are ready for exit, we depart from Marmaris. 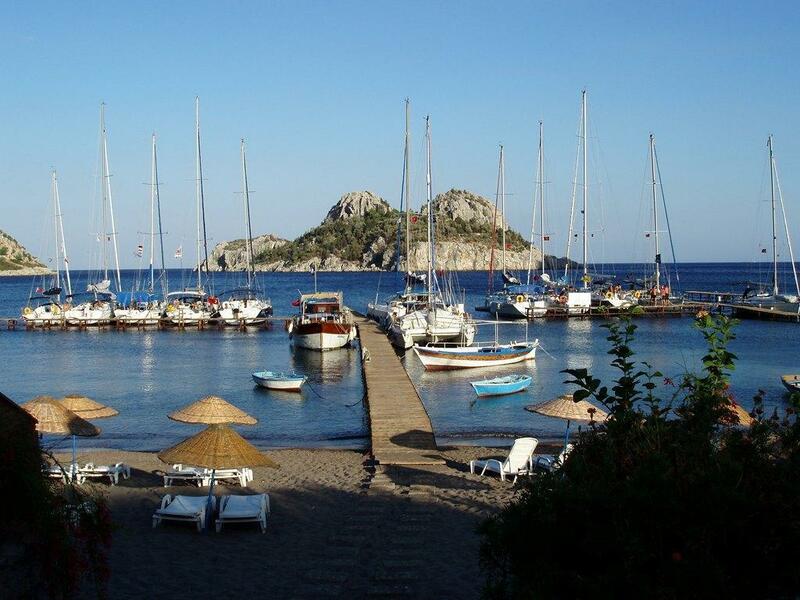 Our first stop is the lovely bay of Ciftlik, a Turkish seaside paradise. 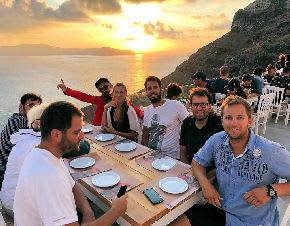 After swimming and snorkelling in the crystal clear water, dinner is served in the local restuarant of Rafet Baba (best seafood in the region). Usually dinner continues well into the evening, the night being filled with laughter and memorable conversations. Water, electricity, wi-fi, hot showers and toliets are provided by the restuarant. 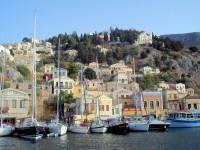 SYMI: Monday: We start our 2nd leg at around noon, sailing towards the romantic island of Symi. 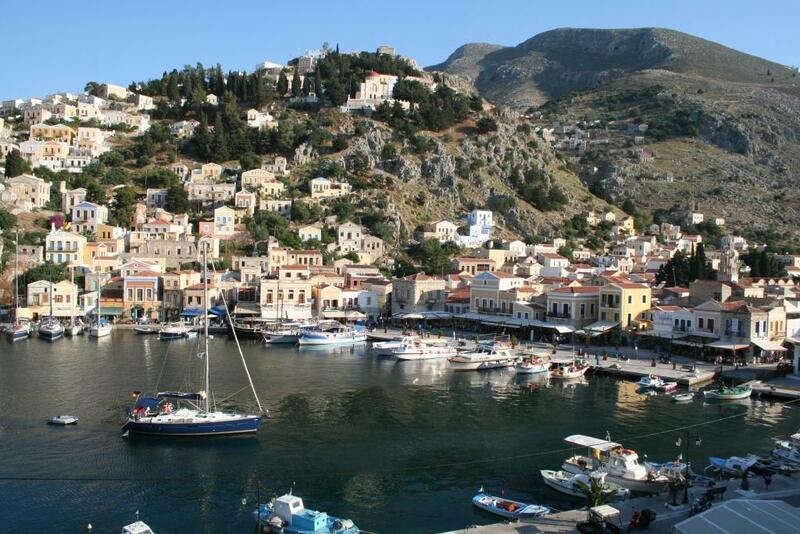 Upon arrival to the cozy village of Symi, you are free to roam the narrow streets and explore the authentic Greek houses; many of which are still occupied by relatives of the original builders. Indulge yourself in a bit of shopping amongst the numerous local shops, where you can find truly unique items and aqquaint yourself with the local populace. 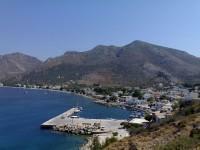 TILOS: Tuesday: Our third destination is the island of Tilos; here we moor at the charming seaside village of Lividia. On the hill, the abandonded roofless houses of Micro Horio are visible. Here, nestled between the ruins of this ancient village, lies the infamous Micro Bar: a classic rock bar/club with a very unique setting, definetly a place to witness! Wander through the bustling village, filled with quaint single-story buildings or bathe in the azure waters surrounding this unspoilt paradise. 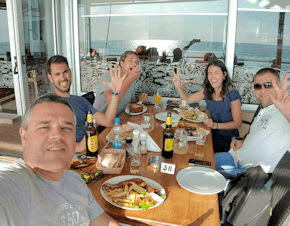 Dinner is usually served at our favorite restuarant: friendly staff and the best roast goatmeat you have ever tasted! 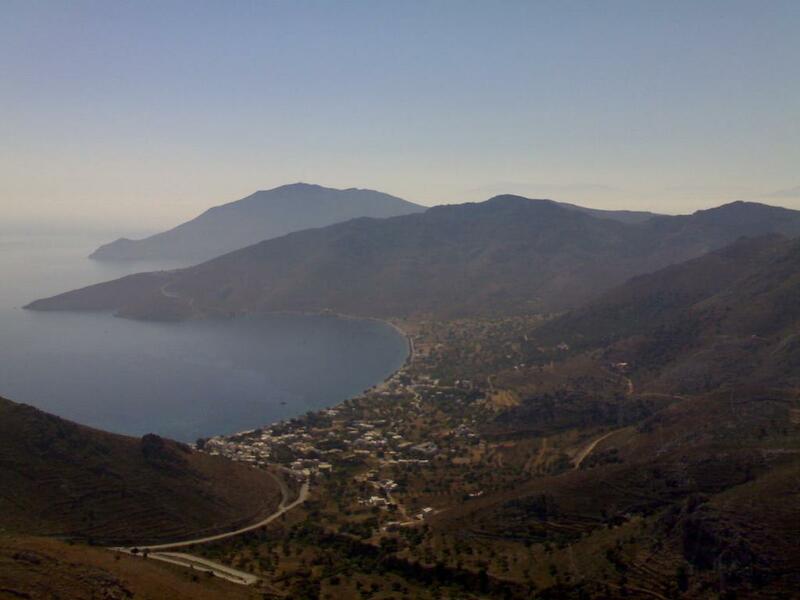 KHALKI: Wednesday: Next stop is the island of Khalki, here you can be close to both nature and history; this island is far off the tourist track and largely untouched by commercialism. 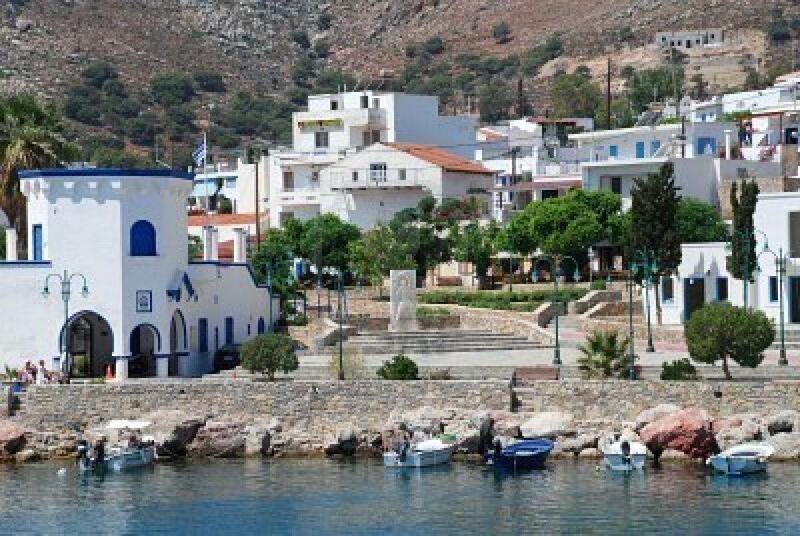 The miniscule population is friendly and accepting, stroll through the village to get a taste of an authentic Greek village. A expansive white sandy beach is close by, a perfect place to take a relaxing dip in the sea on a hot summer afternoon. 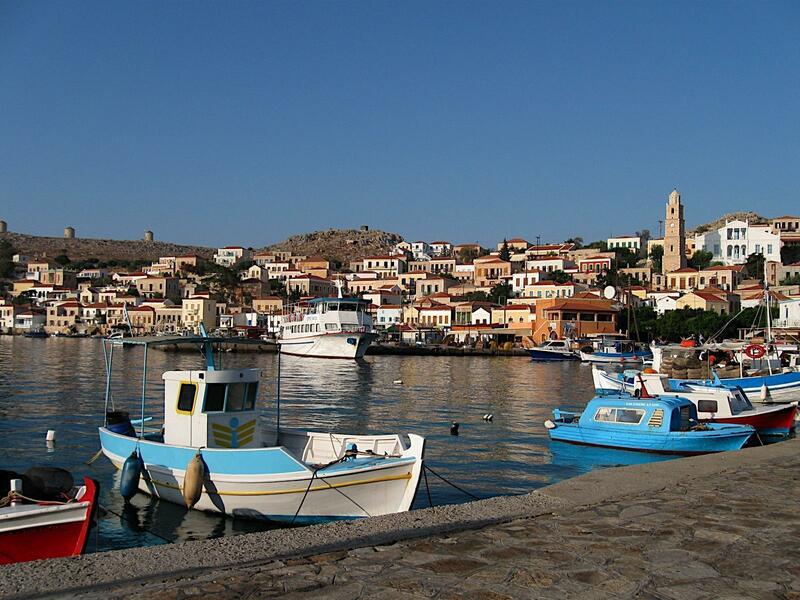 RHODOS: Thursday: Already on our return, the last stop is the island of Rhodes, a large and vibrant Greek Island, steeped in history dating back thousands of years. 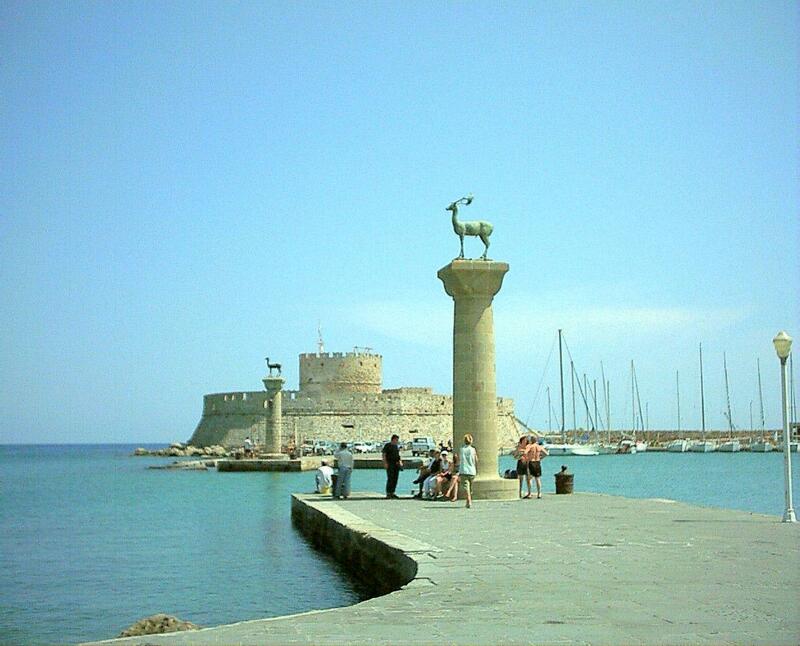 Visiting the world-famous castle of Rhodes is a must! Lose yourself amonst the hundreds of small alleys, filled with historic monuments, churches,fountains and museums. Close your eyes and you can easily imagine being here 400 years ago. 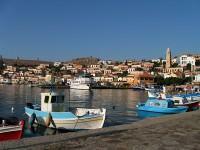 The main part of Rhodes is like any other modern European city, hotels, casinos and clubs crowd the shoreline. The night-life is vibrant and fun, a good time is guaranteed. 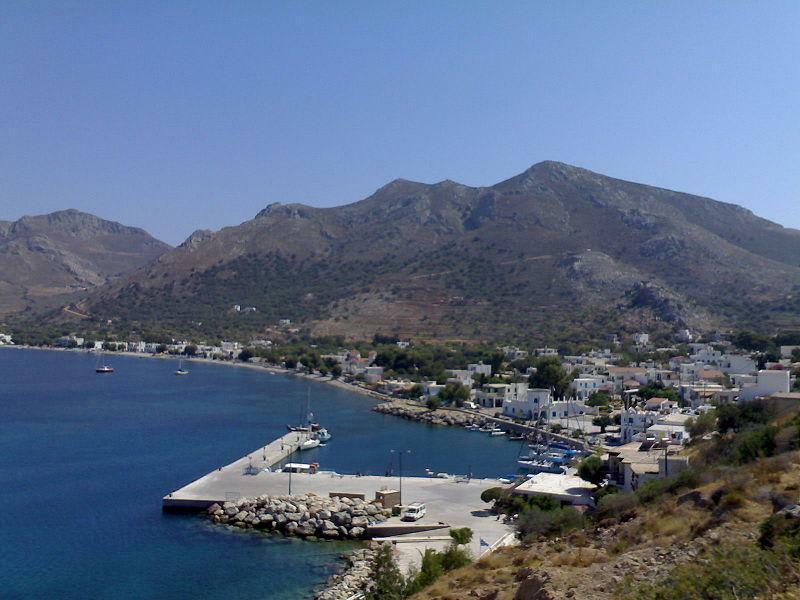 Rhodes also offers plenty of natural beauty; rent a car or scooter and journey into the center and south parts of the island to explore sand dunes, a fortress, towering cliffs and endless beaches. 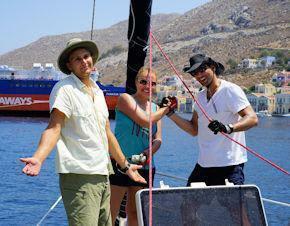 Marmaris: Friday: This marks the end of our voyage, as we depart Rhodes in the morning and sail back to Marmaris. 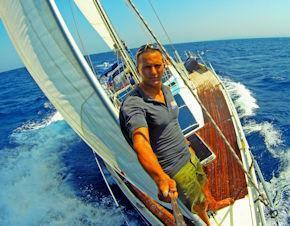 Usually the trip is a speedy one, since the winds are in our favour. 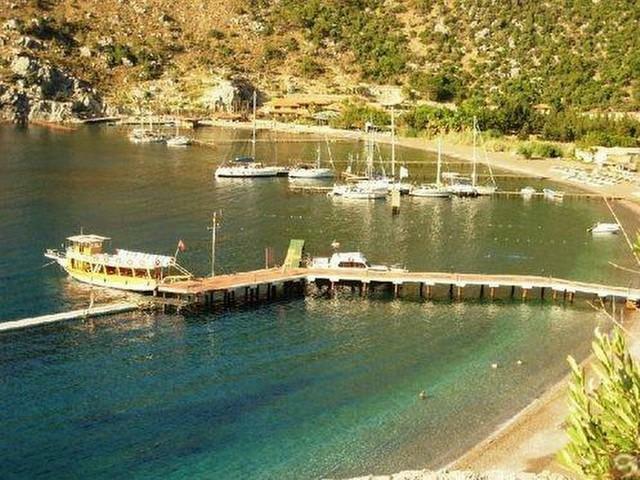 After a short swimming break in Marmaris bay, we moor at the custom pier and complete entrance procedures. 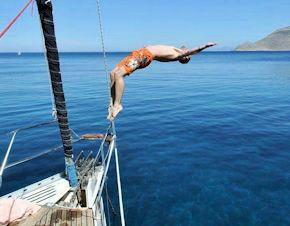 Our agent handles all paperwork, and after a short period of time we can moor at our berth in the marina. 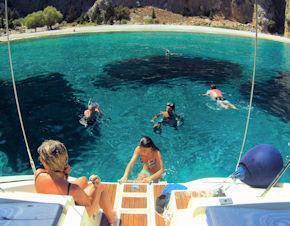 You can leave the yacht on Friday evening or stay another night to enjoy Marmaris. 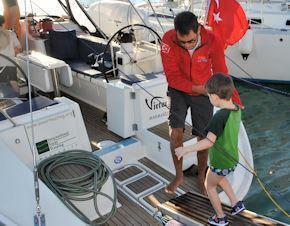 Saturday morning is cleaning time, so everybody must vacate the yacht before 10 AM. 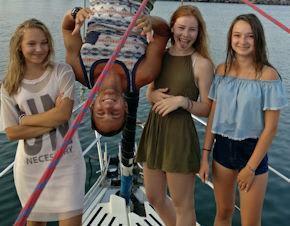 Two weeks of sail training - 1200 Euros. 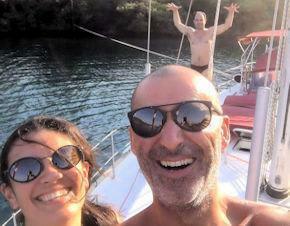 Bareboat Skipper License is an additional 200 Euros. 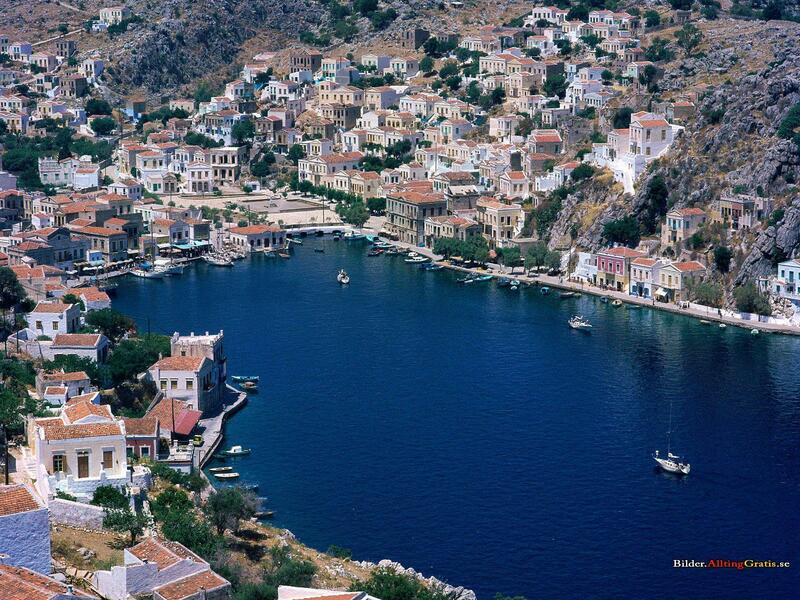 The entry and exit procedures in Turkey and Greece are an additional 100 Euros per person. 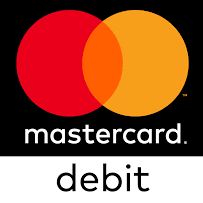 We require %25 deposit in order to confirm your reservation. 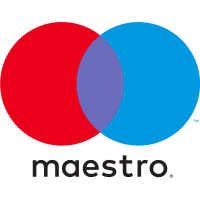 You will receive an confirmation form after your payment.